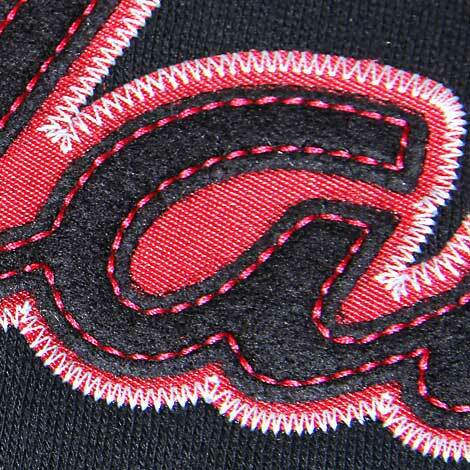 We can make even the simplest design look spectacular with embroidery. 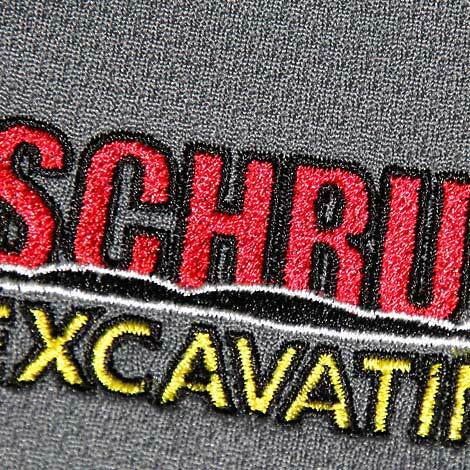 We can embroider everything from a single color name to a multi-colored abstract design. All it takes is a design and we bring it to life with embroidery. The color choices are endless and there is no design that is too complicated for our high-tech embroidery machines. Applique is perfect for larger designs and adding texture or fun patterns. Appliques come in every color and a variety of detailed textures like tackle twill, calico cotton prints, vintage felt, plaid, flannel and fleece, just to name a few. 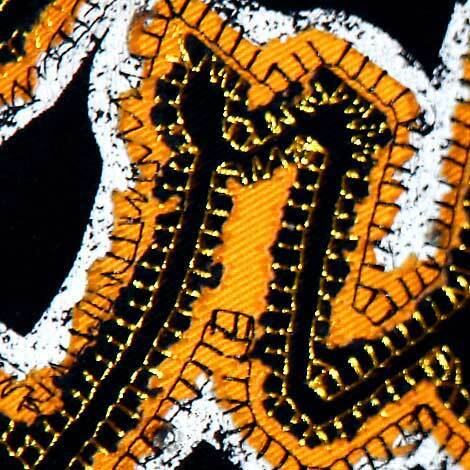 We can even custom-cut applique and mix it with a decorative embroidery stitch for a very unique design. Are you living on the wild side or just want something different that’s a bit more edgy? Our grunge embroidery comes in many different styles and textures. Try the chino distressed applique, or, if that’s not edgy enough for you, we can custom cut and customize the amount of distress to any applique material and match with an embroidery stich to amplify the grunge. 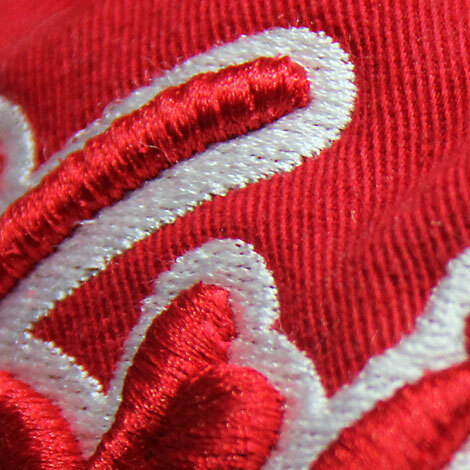 Puff embroidery is the perfect way to help your embroidery project stand out…literally! Try using this technique with thread that’s the same color as the apparel for a subtle look, or get a little bolder and use a contrasting color to get even more attention. Either way, this 3D technique will add extra dimension and interest to your apparel.